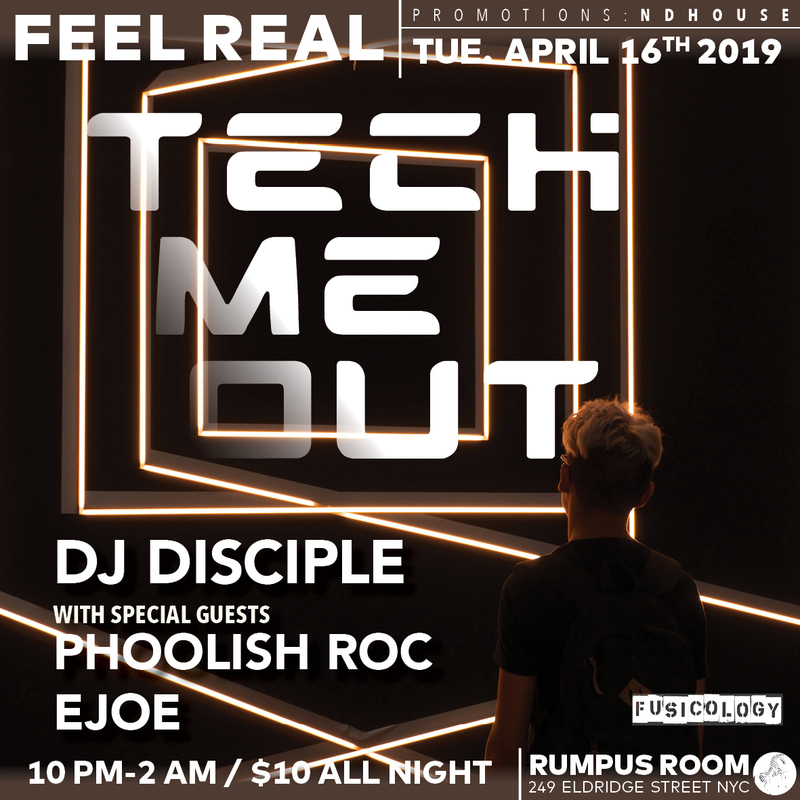 On Tuesday April 16th Feel Real goes a different direction with Tech Me Out taking place at Rumpus Room. If you love your House music techy then this is the place to be. It’s happening at Rumpus Room. 249 Eldridge Between Houston and Stanton. $10 all night and its from 10pm-2 am or later (wink wink).